Canna-savvy folks are experiencing higher value with Flav, so you should too! The quality of Flav cannabis infused gummies is hardly matched by any product in its category. Crafted for easy consumption and controlled dosage, this fruity snacks burst with a full spectrum apple flavor, and psychoactive potency. 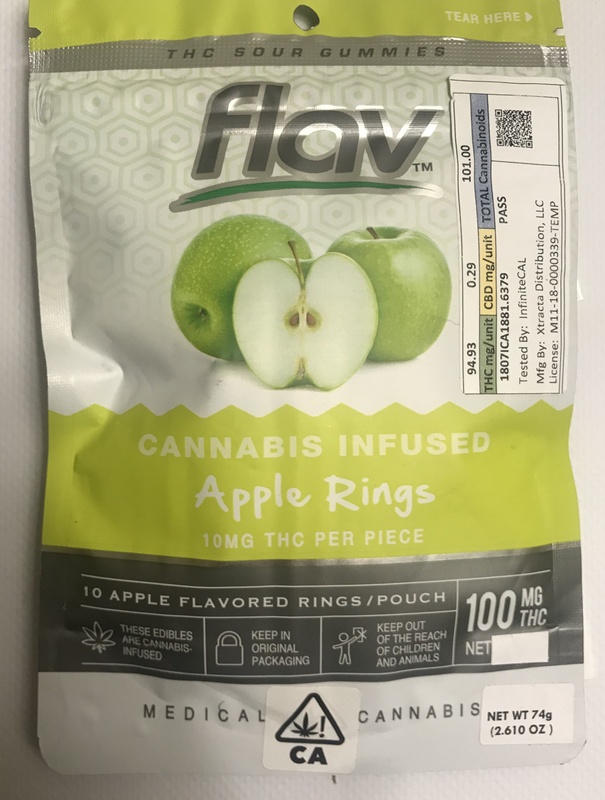 What are Flav Cannabis Infused Apple Ring Gummies all about ? Flav symbolizes the future of cannabis science. With innovation driven by market demands and social responsibility, Flav’s approach to product development starts with one since objective: to produce the best consumer goods on the market, in terms of quality and safety of use. Dosing: For each patient, appropriate may vary. That is why these gummies are infused with 10 mg THC each. Beginners are advised to start with one ring at a time, and wait for 1 to 2 hours to determine the effects before dosing again. Experienced users also should consume with care, as these edibles are very potent.